January 16, 2018 (Tony Cartalucci - NEO) - After a nearly year-long marathon of daily, acrimonious accusations against Moscow for alleged, yet-to-be proven interference in the 2016 US presidential elections, Washington finds itself increasingly mired in its own hypocrisy - openly and eagerly pursing the very sort of interference abroad in multiple nations regarding elections and internal political affairs it has accused Russia of. 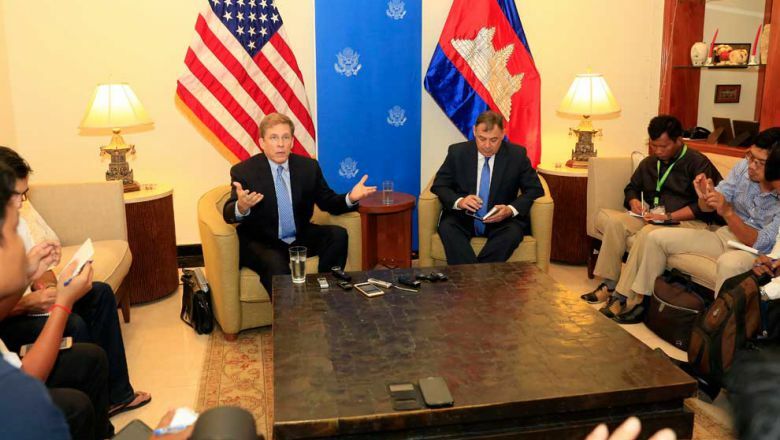 Image: US State Department officials threaten Cambodia with sanctions for uprooting US-funded organizations openly engaged in political interference in Cambodia's upcoming elections. A particularly acute example of this is Cambodia where recently, the government has begun uprooting and expelling US State Department-funded fronts and media organizations as well as arresting members of the US-backed opposition party while disbanding the party itself - for interfering in preparations for upcoming elections. Unsurprisingly, the NYT attempts to portray Cambodia's uprooting of US government-funded fronts, media, and opposition directly and openly manipulating its political affairs as undemocratic. Such a narrative concurrently takes shape in the NYT's pages side-by-side an entire section titled, "Russian Hacking and Influence in the U.S. Election." While Western media like the NYT claims foreign interference in America's affairs constitutes the destruction of American democracy, it simultaneously proposes that extensive US meddling in elections abroad - including in Cambodia - constitutes the promotion of democracy. Unfortunately for many, the hypocrisy this glaring double standard represents goes unnoticed - due in part to the notion of American - and to a larger extend - Western exceptionalism. The move by Phnom Penh is the culmination of years of US meddling in Cambodia's internal political affairs and political processes including its elections. 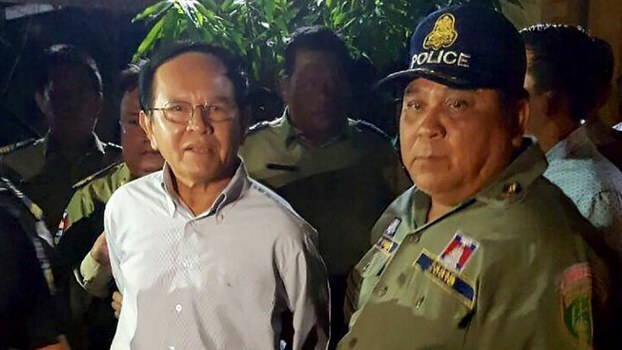 Image: Cambodian opposition leader Kem Sokha being arrested for treason. Kem Sokha has spent over a decade openly conspiring with the United States government to overthrow the Cambodian government and install himself and his political party into power. The opposition party - the Cambodia National Rescue Party (CNRP) - is led by long-time US proxies Sam Rainsy and Kem Sokha. Both have divided their time and activities between politicking in Cambodia and residing in Western capitals, including Washington D.C. openly conspiring with the US government to overthrow Cambodia's current political order, and install themselves into power. Kem Sokha is referring to the openly admitted US-engineered regime change mechanism known as "color revolutions" and in particular the successful use of such "revolutions" in the overthrow of Serbian leader Slobodan Milosevic in 2000. 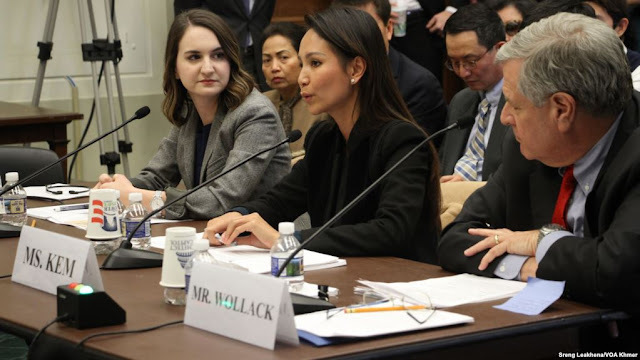 It is also mentioned in the article that Kem Sokha has traveled to the United States every year since 1993 to "learn about the democratization process." The video producer mentioned in the above article, the Australian-based "Cambodia Broadcasting Network" (CBN), had published a video of Kem Sokha with US Senator Ed Royce in Washington DC openly calling for the deposing of the Cambodian government. This clear cut evidence was cited by the Cambodian government upon Kem Sokha's arrest on charges of treason. It would be difficult to fathom Washington not likewise responding with swift and severe charges of treason in light of similar, explicit evidence of a US politician collaborating with a foreign power to overthrow the US government - especially considering the current fallout in the US over mere innuendo and outright fabrications. Yet Washington's hypocrisy is once again highlighted by its counterstroke to Cambodia's efforts to uproot foreign interference. In the wake of Cambodia's moves against US government-funded media, opposition fronts, and the nation's main opposition party itself, a quickly escalating confrontation with Washington is unfolding. Image: Kem Sokha's daughter, Kem Monovithya, in Washington DC appealing for more US interference in Cambodia's internal affairs as her father resides in jail for treason associated with seeking US interference in Cambodia's internal affairs. In other words, not only has Kem Sokha and the CNRP been accused of treason, but in its response, the Cambodian opposition has doubled down in its open collaboration with the United States to attack and undermine the Cambodian government while working its way - with continued US support - into power. Realism Required to Break Free from the Illusion of "Democracy"
One can only imagine the headlines in the NYT should a US politician passionately plead within the walls of the Kremlin for Russian intervention in American elections - for the enacting of sanctions to target incumbents in power and for additional and open financial support to contest those elections. In reality, democracy is - at its core - a process of self-determination. Self-determination is untenable if any "democratic process" is subject to outside interference, particularly the full-spectrum institutional meddling the United States engages in. Image: The announcement of anti-color revolution measures by Prime Minister Hun Sen's son, Hun Manith. And despite America's immense hypocrisy, the geopolitical maxim of "might makes right" prevails, enabling the US to both accuse and attack other nations for alleged political meddling, while overseeing institutionalized political meddling and electioneering abroad on a global scale. Cambodia has taken a risk in directly confronting Washington's "democracy promotion" racket head-on. It risks not only sanctions and additional political subversion underwritten by the United States government, but also covert military aggression, proxy terrorism, and economic warfare - all ushered in under a US-sponsored color revolution. It was a color revolution that Kem Sokha sought US assistance in organizing in Cambodia. And yet, there is nothing at all "non-existent" about the threat of color revolutions. Kem Sokha himself openly admitted he was conspiring with the US to organize one. 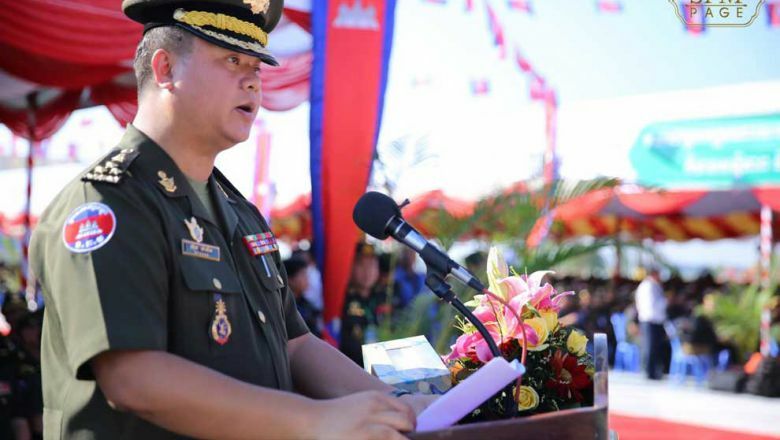 The same Western media dismissing Cambodia's concerns as a pretext for an otherwise unwarranted crackdown, has openly admitted that the US organized and executed color revolutions from Eastern Europe to North Africa and the Middle East. 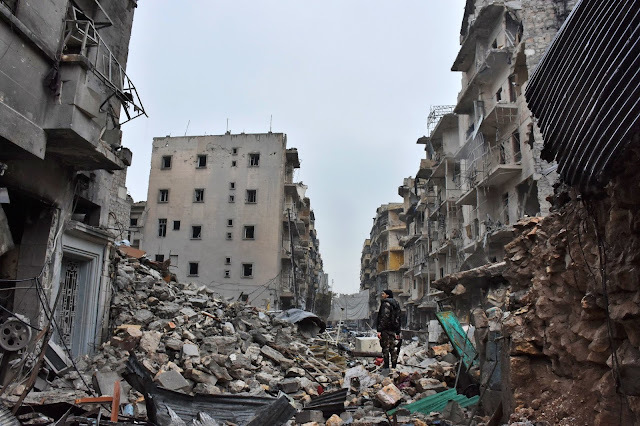 In essence, the very same organizations admittedly responsible for plunging the Middle East and North Africa into chaos are the very same organizations Cambodia has targeted and expelled - while arresting and charging their Cambodian accomplices with treason. Considering the toll in human suffering, loss of life, and economic devastation nations targeted by US-sponsored color revolutions have suffered elsewhere, Cambodia's moves are far from unwarranted - and instead constitute measures a responsible nation would take in defending peace and stability. Image: The ruins of Aleppo after years of war, shortly before the Syrian government liberated it from US-sponsored terrorists. The threats of US-backed color revolution are real, devastating, and the responsible of every government to protect their nation against by any means necessary. Cambodia's efforts must go one step further. Media organizations and genuine, local nongovernmental organizations must fill the space left by expelled foreign fronts. Russia and China have provided a successful example of producing both local and international media and organizations to confront and displace foreign influence within their borders and to have their side of the story told beyond them. The notion of "soft power" is as important as a conventional army. While most nations possess conventional armies able to keep foreign powers from outright invading, many are ill-equipped to defend against more subtle intrusions into their information, digital, sociocultural, and economic space. Developing and honing these tools will be essential for Cambodia and many other nations still targeted by US subversion. Noting America's immense hypocrisy is not enough. In a "might makes right" world, developing a defense to face America's might is an absolute necessity.